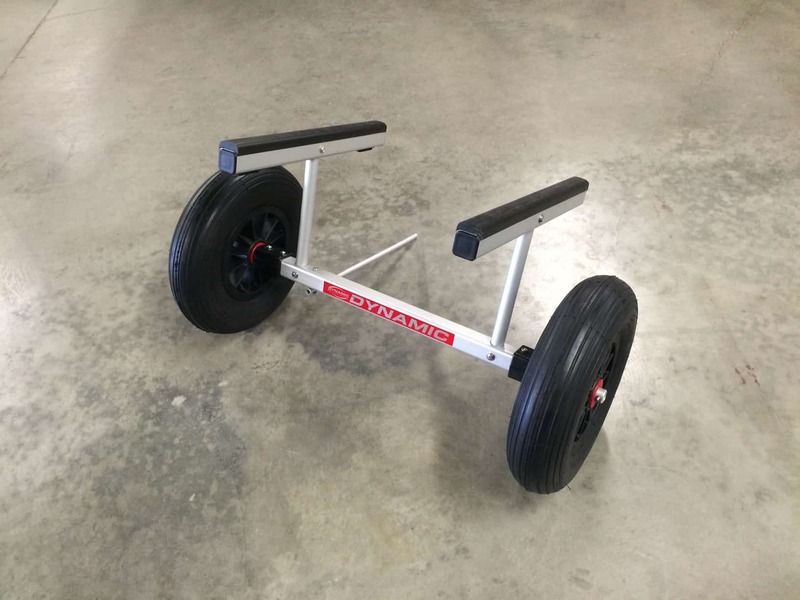 Dynamic “Shell Dolly” Part number 10000-S – 2015 MSRP $235. 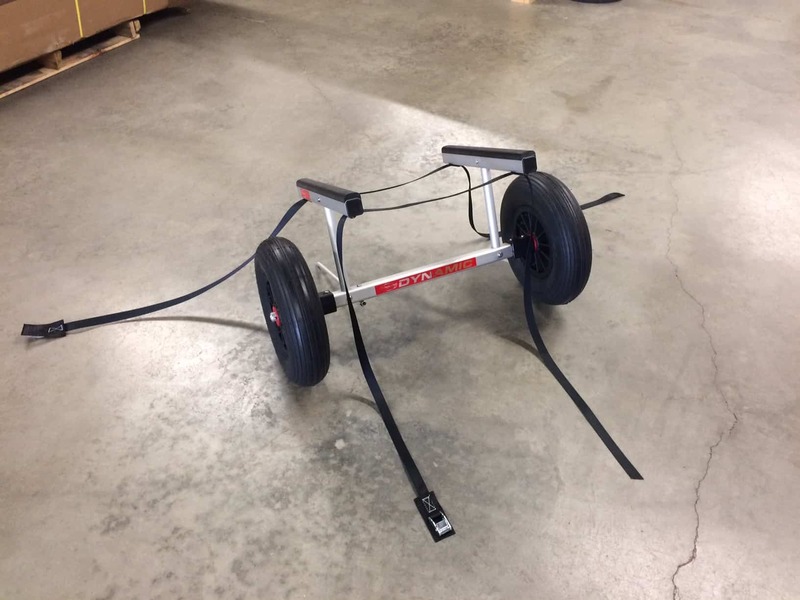 This unit allows users to lift the stern of a kayak, canoe, or shell onto the dolly and then pull the boat around by the boat’s bow. 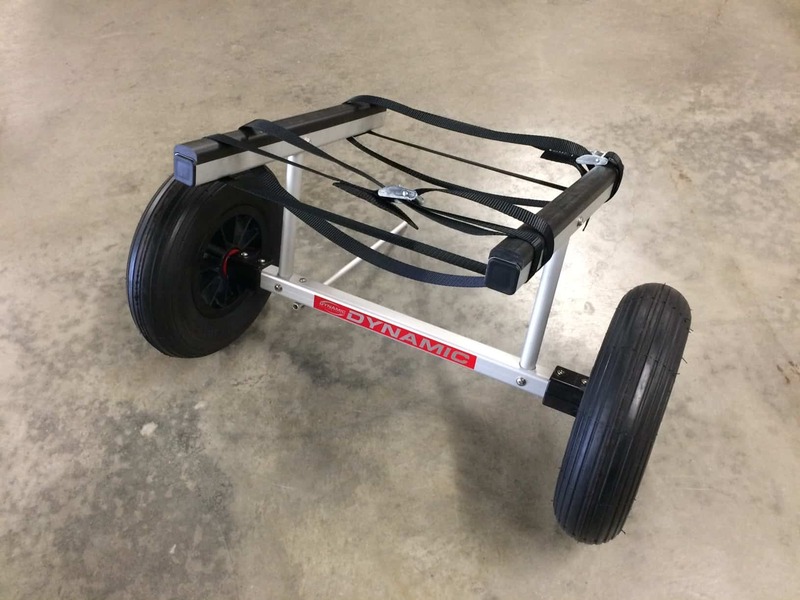 This dolly comes complete with tie down straps to secure the boat and a “kick stand” to help keep the dolly upright when you’re lifting a kayak or canoe onto it.